Pune has turned into one of the most loved cities in the country today. There is something about this city that is pretty hard to find elsewhere. To add to it, luxury homes surrounded by the beauty of nature is a gift that Pune has for all its residents. The real estate market in Pune has elevated in terms of residential as well as commercial projects. While Pune’s education hubs and harmonious lifestyle play an important role in the rising property demand, a rise in the city’s IT sector has boosted the property demand to a great extent. With a number of IT Parks in different parts of the city, Pune has turned into a popular IT destination today. There are a number of suburbs in Pune that have gained popularity due to the growing IT sector and ‘Wagholi’ is one of them. Situated in Eastern Pune, Wagholi is one of the fastest developing locations in Pune today. The real estate market in this area is booming today as a number of home buyers and investors have showed great interest in this location. Residing at this location gives you all the perks that Pune can provide. Offering fast and easy connectivity to a number of IT Parks that surround it, Wagholi has been amongst the most preferred residential locations for IT professionals as well. 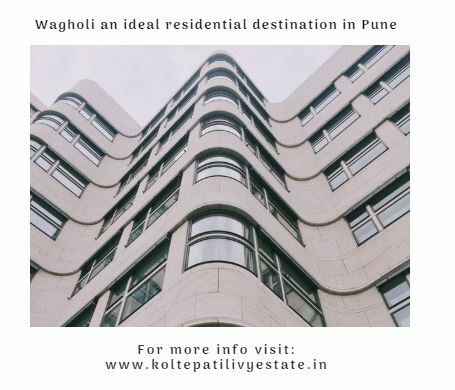 Being well connected to Khandala-Loni Road, Wagholi offers seamless accessibility to a number of prime locations in Pune and its outskirts as well. The social infrastructure at this location is nothing short of spectacular. From schools and colleges, to malls, shopping centres, convenience stores, cinemas, cafes, clubs, restaurants, retail outlets, banks, ATMs, medical centres, hospitals, all kind of transport and more, living in Wagholi will always keep you busy and active. Although Wagholi is the new investment hotspot that people are talking about, it continues to offer residential spaces at unbeatable prices. Besides all the goodness and the lush greens that this location has to offer, affordability is an important element due to which Wagholi is witnessing a huge demand for property. While Kharadi has pretty-much reached a saturation point when it comes to real estate development, Wagholi is continues to get better and caters to multi-level income groups. 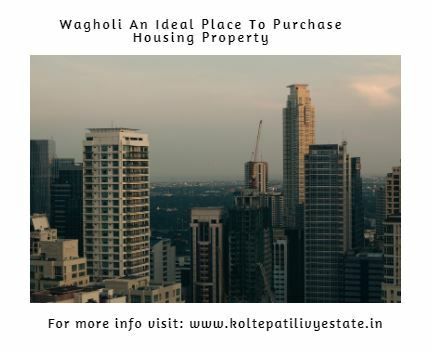 No matter what your budget may be, Wagholi has the perfect residential development for you. Amongst the different residential options available, Kolte Patil Ivy Estate is a good development to consider. 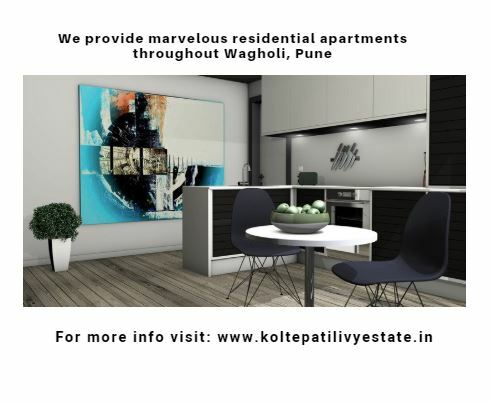 Kolte Patil Ivy Estate is a glorious residential project at Wagholi, Pune by Kolte-Patil Developers Ltd. that offers beautiful 2BHK, 2.5BHK and 3BHK apartments/row houses with carpet area sizes starting at 457 sq. ft. and going up to 1055 sq. ft. The apartment are high on space and contain vitrified flooring, fancy doors and windows, modular kitchens, intercom facility, high-quality fittings & fixtures, multiple safety features, etc. This residential development also offers a refined range of external amenities that are designed to comfort. They include a clubhouse, gym, meditation centre, sports facilities, swimming pool, day care centre, landscape garden, 24hour water supply, good car parking facility, power back-up and 3-Tier security. Starting at a price of Rs.27.70 lakhs only, the residential spaces at this development are reasonable and totally worth your savings for a new home or investment in Pune’s latest investment hotspot.